Its Official. Now that the 4th of July has come and gone, and the days are just about as long as they ever get, it really feels like summer. The beaches are in great shape, everybody is enjoying eating breakfast outside, our new bicycles are cruising the streets (with the assistance of our guests, of course), and all around us are the typical signs of summer. I love it! After this horribly cold and nasty winter, we’ve been taking a LOT of summer reservations, but the good news is that we still have availability throughout the summer. If you haven’t made your reservations yet, it is not too late. As much as I love Summer, and hate to rush it, it is truly time to start looking ahead for your Fall reservations too. Fall is the season of special events, and there are some really fun ones coming up that I’m going to be telling you about here. The Prince of Wales room has always been one of my favorites. It is the original master bedroom of the Queen Victoria building and features lots of special extras, including a bay window seating area with a glimpse of the beach (a view in the winter, when the trees along the street are bare), a beautiful four poster canopy bed, two vanity sinks (one in the bedroom, one in the bathroom), and a brand new bathroom. The brand new bathroom is what is so exciting to me right now. Some of you may remember the charming claw foot tub that Prince of Wales used to have. 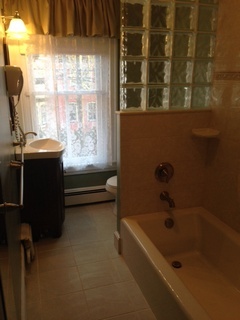 It has been replaced by a much more shower friendly soaking tub with integrated shower. A charming glass block wall at one end of the tub/shower allows lots of light to flow in. I guess you could say that The Prince of Wales room is popular. As of now there are only 7 nights that it is available before Labor Day (including a nice 2 night Sat/Sun opening July 11/12). Luckily, the Prince of Wales room is a great choice for a visit any time of the year. Keep it in mind for your next visit! Summer Stock Shakespeare festivals are almost a rite of Summer. It has been YEARS since this wonderful entertainment option has been available to Cape May visitors, however. This year Shakespeare returns to Cape May! Our friends at MAC (the Mid Atlantic Center for the Arts & Humanities) are partnering with a Shakespeare company (pictured rather strangely here) to bring some classic but fun entertainment to you for your summer visit. 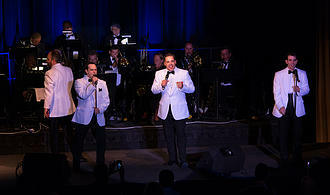 The performances will be held outdoors at the Emlen Physick estate, a lovely setting for an early evening show. One of Shakespeare’s earliest and most vibrant comedies, “Comedy of Errors,” is a zany, madcap romp of mistaken identities. Take two pairs of identical twins, a jealous wife and her love-struck sister, a greedy merchant, a father whose head will be chopped off at sunset, a dim-witted courtesan, a stolen necklace, one angry nun, a greasy kitchen wench and an exorcist. Add in Shakespeare’s brilliant, sparkling language, spiced up with musical surprises, and the result is a concoction of delightful lunacy and farcical delirium. This year marks the 4th annual Craft Beer & Crab Festival at the Emlen Physick estate. As young as this event is, it has easily become the largest, most popular event in Cape May. This year promises to be the best one yet! This is the only really big special event that occurs in the Summer in Cape May. It is an all day event, featuring live music, local and regional craft beers, LOTS of crabs and other great food, an old-fashioned Victorian circus with special guests The Give & Take Jugglers, along with crafts and food vendors. We’re talking about serious summer fun here, all within a leisurely stroll of The Queen Victoria. I was surprised to see that we still had a few vacant rooms for this weekend. If I were you, I would think about taking one of those rooms for the weekend and enjoying this Cape May “Must Do” event. Following the popularity of the August “Craft Beer & Crabfest” over the last couple of years, our friends at MAC (The Mid Atlantic Center for the Arts & Humanities) have launched a brand new festival this year. Like the Craft Beer & Crabfest, it will be an outdoor event held at the Emlen Physick Estate. This event will run all day and features regional breweries, a farmer’s market, food, live music from local musicians and crafts & collectibles vendors. This looks to be a great event that I’m really excited about. 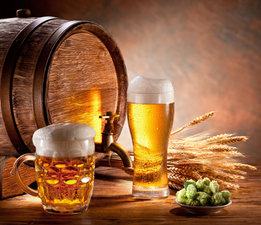 As it happens, we still have some availability for that weekend, so you have an opportunity to say that you attended the very first Cape May Harvest Brewfest. Once again the city of Cape May is sponsoring a Summer Concert series, with concerts nearly every Monday of the summer, starting June 29 in our lovely new Convention Hall. As you can see, this is mostly a lineup of favorites over the years, with something for just about anybody. Anna Marie and I want to make special mention of the “Summer Club” concerts (pictured above). We attended both of the 2014 Summer Club concerts and were astounded at the quality of the entertainment. We both felt like we were experiencing a Broadway show. The Summer Club is a variety show put together by a “local boy made good” that features truly top notch performers, some quite prominent, with singing, dancing, comedy, and even magic acts. Note that these are Saturday shows. New beach chairs are always exciting for me. They are particularly exciting this year. So first of all, yes, we’ve departed from our traditional green chairs. We always liked the green, but it turns out that they are virtually impossible to find. The color we ended up choosing, however, looks great. 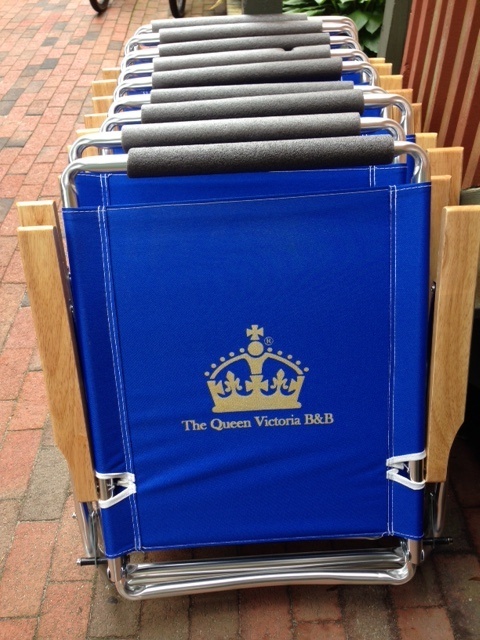 What color could be more fitting for The Queen Victoria than “Royal” Blue? You can’t really appreciate it from this picture, but the metallic gold logo on the back really “pops” against the blue material. It is truly a regal look. So why am I so excited about these chairs? One of the things I like about them is the backrest adjustment mechanism. For many years now, the chairs that we were getting had a bit of a design flaw. After some serious use, many of them had grooves carved into the bottom of the handles, which prevented the backrest from securely locking into position. I’m sure that a few of you discovered this yourselves. These chairs are of an entirely different design, guaranteed not to slip. They also have 4 positions instead of the 3 that the old chairs had. The thing that excites me most about these chairs is the logo. Not only is it beautiful and sparkly in the sun, but we screened them ourselves! I’m not typically an artsy/craftsy guy, so I am pleased to say that I created the screen myself. It was actually very easy, but surprisingly rewarding. I smile every time I see one of the new chairs (which is several times a day … my face is starting to hurt from smiling so much). Comfy, good looking, light weight. All of the elements of a great beach chair. I hope you enjoy them this summer! What would one of our newlsetters be without a pitch for gift certificates. I know you’d notice (and miss it) if I left it out. Instead of suggesting opportunities for you to purchase a certificate for your family and friends as I usually do, I’m taking a totally different approach this month. 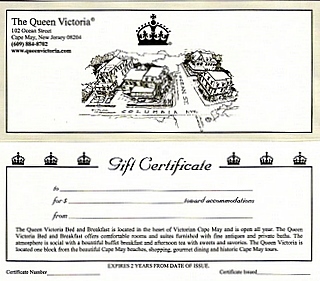 Wouldn’t YOU love to receive a gift certificate to The Queen Victoria? Let’s say you’re parents of grown children. Your kids always struggle to find the perfect gift for your birthday, Mother’s Day, Anniversaries, and every other gift giving occasion. They know you don’t need more stuff (in fact, you might already be trying to give them some of your stuff). The perfect solution is to suggest they purchase a gift certificate to The Queen Victoria. Think of it! 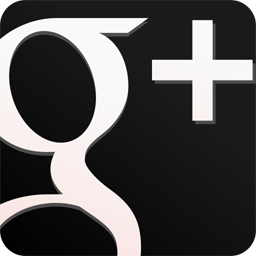 They could purchase a Queen Victoria gift certificate in complete confidence that you’ll love it and use it. Further, they’ll love knowing that this will work year after year (or even multiple times a year). Making this suggestion to them is actually an act of kindness to them, relieving them of the burden in their busy lives of struggling over a gift for their wonderful parents. Perhaps your parents are having trouble finding gifts for you. It works the same way! 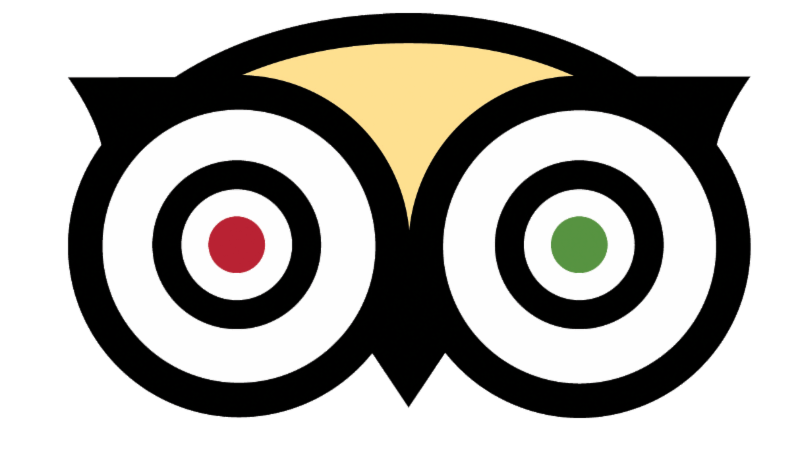 Tell them how much you enjoy your trips to The Queen Victoria and suggest a gift certificate. But how to subtly share this idea with all these people who are anxious to do something special for you? I suggest forwarding this email to them, saying “this is the place we love to go”. I’m thinking they’ll get the hint. This is a view of our garden shortly before breakfast, taken from the Prince Albert Hall porch. Yes, this is my workplace every morning. 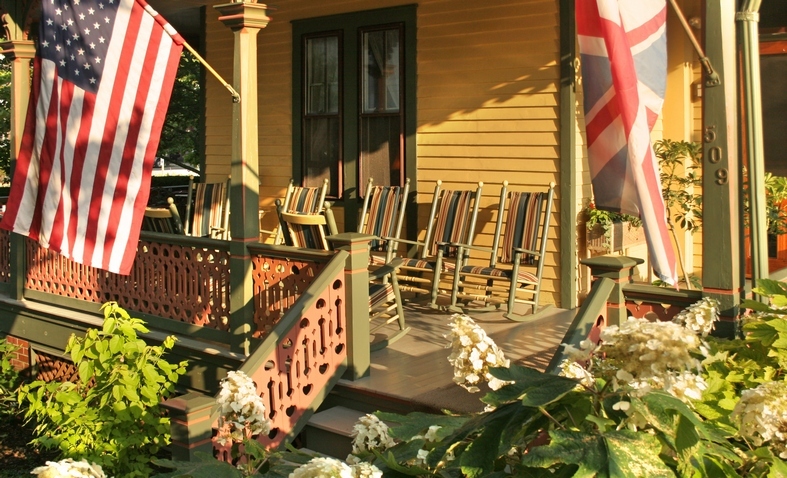 It is such a peaceful, serene setting, just perfect for a relaxing breakfast at The Queen Victoria. 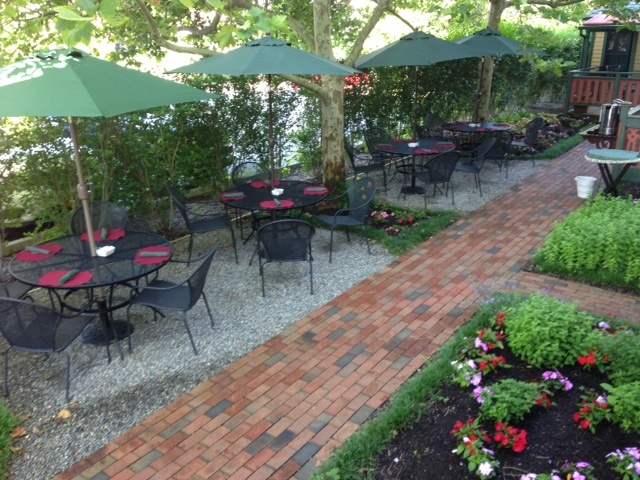 Surely it is the perfect place to start your day in Cape May. This is a really fun new gift shop item to tell you about. 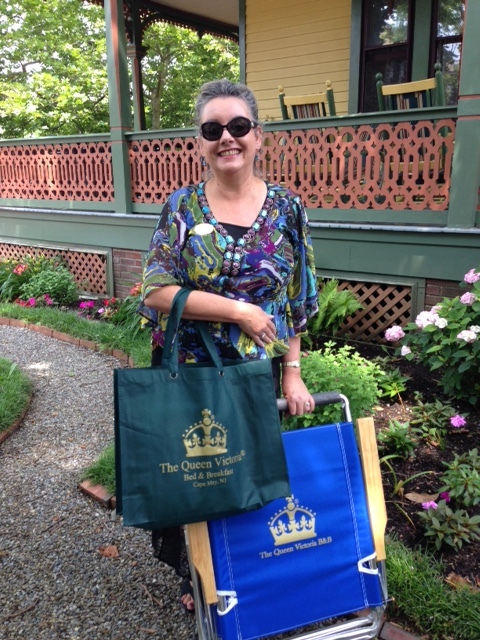 A couple of weeks ago Anna Marie and I decided that we should investigate the possibility of getting a new Queen Victoria Tote. It had been a couple of years since our first attempt at a tote, which were OK but not quite big enough to really be used for the beach. We were thrilled when we found these wonderfully large, light weight and attractive bags. One of the things I really love about these bags are the grommets that the handles are attached to. It gives the bag a really sturdy, durable feeling. These bags really are spacious too. Here you see my beautiful model showing the bag off with 2 beach towels inside and tons of space left for sun screen (also available in our gift shop now), books, and all the other stuff you need for the beach. Notice the nifty beach chair too (not for sale). If you’ve ever been down to Sunset Beach, then you’ve undoubtedly wondered what that big concrete cylinder on the side of the road was. Technically it is “Fire Control Tower #23”, part of the WWII era Fort Myles complex. These towers were used to spot German submarines and send in firing coordinates to the gun bunker that is located on the beach near the Cape May Lighthouse. Most of these towers were located across the bay in Delaware, with only 2 in Cape May. This is the only one you can get into and explore. The tower was restored and opened to the public a few years ago, and effectively serves as our own little WWII museum. The tower is about 1/2 the height of the lighthouse, with a gentle and comfortable winding staircase running to the top. There are several landings on the way up, which serve equally well as both museum displays and resting areas. 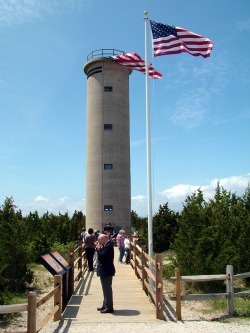 The tower is a tribute to the brave men from Cape May specifically and America, in general, who served their country so proudly during the second world war. If you’re planning on a visit to sunset beach this summer, make a little extra time to explore this wonderful piece of history. The Washington Inn is without a doubt one of the finest restaurants in Cape May. I know it is a favorite, “must do” dining experience for many of you when visiting Cape May. It is certainly one of Anna Marie and my favorites. Though the Washington Inn is certainly a fine dining experience, it is not stuffy or formal. It is the kind of place that you can go casual, or if you want to feel a little special, put a jacket on. It is a terrific place for a special occasion or just a wonderful dining experience. So what is good to eat? Anna Marie has become particularly fond of the Cioppino lately. I love it too! I was just scanning their menu, which changes pretty frequently, and the Sicilian Style Grilled Local Swordfish really caught my eye. To be honest, I’ve never ordered anything I didn’t love at the Washington Inn. I’m guessing that most people agree with me, because they’ve been ranked in the top 100 restaurants in the United States by “Open Table” (one of only 16 in the Northeast, only 3 of which are in New Jersey). During my perusal of their menu I also noticed that they are offering a nice variety of affordable wines, which I was thrilled with. 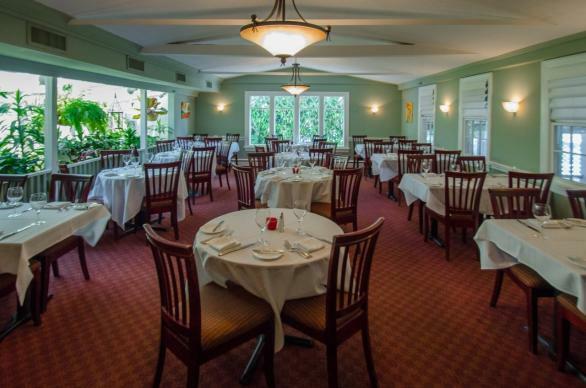 If you haven’t dined at the Washington Inn before, you should really consider it for your next visit. You’ll be glad you did. Great Reasons to Visit The Queen Victoria!